During The Afghan Whigs’ initial run of great albums—its second, 1990’s Up In It, through its sixth, 1998’s 1965—the band moved through styles like a con man through a room full of marks. Two elements, though, were constant: Greg Dulli’s sensually raspy voice, and the inhumanly beautiful guitar interplay between Dulli and founding guitarist Rick McCollum. But as quietly announced earlier this year, McCollum has left the band. On the group’s seventh album, the comeback record Do To The Beast, only one of those two essential Whigs elements remain: Dulli’s voice. And it’s not enough. Granted, Dulli still sings formidably. He hasn’t exactly been letting his pipes lie fallow since The Afghan Whigs’ breakup in 2001. As a solo artist, the frontman of The Twilight Singers, and Mark Lanegan’s partner in The Gutter Twins, Dulli’s been honing and broadening his already rich voice. On Do To The Beast, though, he flounders. Sounding like his own Whigs-era understudy, he hits the sultry low notes and falsetto highs with a forcelessness and lack of passion that’s frightening, considering just how much power and depth he wielded on masterpieces like Gentleman and Black Love. Those albums came out a long time ago, but Dulli doesn’t seem to comprehend how pinched he now sounds in the pursuit of that former glory. But it’s the lack of McCollum that’s most palpable. 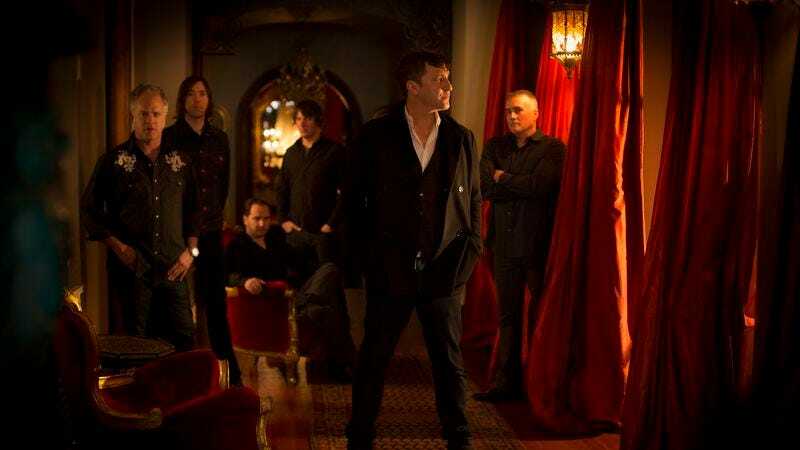 For all of Dulli’s atmospheric crooning and harrowing storytelling, The Afghan Whigs have always relied on the lush, infectious songcraft he and McCollum, as instrumentalists, brought to the table. That alchemy is gone. “Matamoros” sounds like a limply funky castoff too bland to make it anywhere near Black Love, and the skimpy “Algiers” doesn’t have a hook to its name. Nor does most of Do To The Beast. A loose assembly of clichés and song-sketches disguised as minimalism, the album never feels fully realized. Every once in a while, as in the chorus of “Lost In The Woods,” the album hits a high. But when it does, it still seems like an old Whigs song in a wig. The Afghan Whigs always loved to traffic in the cheap and tawdry, but it always did so luxuriantly. That was made the band so special. Whether McCollum’s absence is a contributing factor or just a symptom of Do To The Beast’s overwhelming dullness, one thing’s for certain: The least boring band in the world awoke from its slumber just to deliver a snoozer.